"She is tolerable; but not handsome enough to tempt me." So begins the timeless romance of Fitzwilliam Darcy and Elizabeth Bennet in Pride and Prejudice. Jane Austen's classic novel is beloved by millions, but little is revealed in the book about the mysterious and handsome hero, Mr. Darcy. And so the question has long remained: Who is Fitzwilliam Darcy? In An Assembly Such as This, Pamela Aidan finally answers that long-standing question. In this first book of her Fitzwilliam Darcy, Gentleman trilogy, she reintroduces us to Darcy during his visit to Hertfordshire with his friend Charles Bingley and reveals Darcy's hidden perspective on the events of Pride and Prejudice. As Darcy spends more time at Netherfield supervising Bingley and fending off Miss Bingley's persistent advances, his unwilling attraction to Elizabeth grows -- as does his concern about her relationship with his nemesis, George Wickham. Setting the story vividly against the colorful historical and political background of the Regency, Aidan writes in a style comfortably at home with Austen but with a wit and humor very much her own. Aidan adds her own cast of fascinating characters to those in Austen's original, weaving a rich tapestry from Darcy's past and present. Austen fans and newcomers alike will love this new chapter of the most famous romance of all time. I have yet to find an attempted Pride and Prejudice sequel to be worth my time. This novel is the first that really does the story justice. While this book isn't a sequel, it's a wannabe adaptation: the first of three novels which basically retell the story of Pride and Prejudice from the viewpoint of Mr. Darcy. A viewpoint that Austen readers have wondered about since the novel was published. This one ends after the ball at Netherfield, with Darcy and Miss Bingley conspiring to remove Charles from Hertfordshire. While Aidan manages to capture some of the language of the time, she doesn't attempt to be Jane Austen and I appreciated that. Most of Darcy's story is conjecture. By necessity it is imagined, but the author has a good grasp of Mr. Darcy. Her interpretations are believable. I enjoyed the little details, such as when Darcy purchases books for his sister, one of them is Sense and Sensibility. That was a fun little addition. His interactions with his valet and household staff serve to portray him as the kind master his housekeeper alludes to in the original novel. Aidan is most definitely a fan of the Jennifer Ehle/Colin Firth version of Pride and Prejudice. (Thank goodness for that, because I can't abide anything that refers to the Keira Knightley farce.) It's very easy to picture the scenes from the film as you read the book. One even wonders if her adaptations come from Colin Firth's Darcy, more than Jane Austen's Darcy. Still, I can recommend it with no reservations. Thanks to half.com for having a copy I could purchase. You can purchase your own copy here . Newly wed in a festive yet poignant ceremony at Elm Creek Manor, bride Elizabeth Nelson takes leave of her ancestral Pennsylvania home. Setting off with her husband, Henry, on the adventure of a lifetime, Elizabeth packs the couple's trunk with more than the wedding quilts she envisions them dreaming beneath every night of their married lives. They are landowners who hold the deed to Triumph Ranch, 120 acres of prime California soil located in the Arboles Valley, north of Los Angeles. "Triumph Ranch," says Mae, a traveling companion whom Elizabeth has let in on the promise of the Nelsons' bright future. "That sounds like a sure thing." But in a cruel reversal of fortune, the Nelsons arrive to the news that they've been had, and they are left suddenly, irrevocably penniless. They are hired as hands at the farm they thought they owned, and Henry struggles mightily with his pride. Yet clever, feisty Elizabeth -- drawing on her share of the Bergstrom women's inherent economy and resilience -- vows to defy fate through sheer force of will. As her life intertwines with Rosa Diaz Barclay, native to the Arboles Valley and a fellow quilter, their blossoming friendship sheds light on many secrets that have kept each of them and their families from their rightful homes. In the cabin where Henry and Elizabeth are living on Triumph Ranch, Elizabeth discovers quilts belonging to Rosa's mother, and in their exquisite patterns recognizes a misplaced legacy of love, land,and family. But her newfound understanding of the burden of loss that Rosa shares with the mysterious Lars Jorgensen places her in mortal danger. Only by stitching the rift between the past and the future can the inhabitants of Triumph Ranch hope to live in peace alongside history. Book 10 in the Elm Creek Quilter's series. This one goes back in time to the 1920s and the depression years in California. Like the other books, it involves an ancestor of Sylvia Compson, and like all her other ancestors, this woman quilts. Chiaverini has a nice formula. 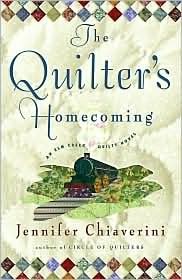 She writes about quilting, family, women and relationships and ties it all together with facts about quilting and patterns. I enjoyed this novel, although not as much as I've enjoyed some of her others. This one was a very fast read. Enjoyable, but somewhat predictable. I was almost able to skim it and still enjoy the plot and characters. Elizabeth and her husband are taken by a con artist and purchase a farm that doesn't exist. They swallow their pride and work for the family who owns the property. I like Elizabeth's strength and her faith in herself and her husband. If you've enjoyed the Elm Creek series, you will enjoy the book. It's not a necessary read to further the series though. Abram's Daughters book 3, the sequel to the bestselling The Betrayal. This powerful family saga features four Amish courting-age sisters growing up in Lancaster County Pennsylvania, beginning in the 1940s. Life in Gobble's Knob was all Leah Ebersol ever wanted until her older sister Sadie abandoned faith and family, leaving Leah no choice but to believe the worst, that Sadie-and her own beloved Jonas-had betrayed her. Now, two years later, Leah still misses both Sadie and Jonas keenly. Because of her sister's shunning, she cannot contact either of them but hears through the grapevine that they are married. Loyal neighbor Gid is still biding his time, but on the verge of accepting his courting invitation, tragedy befalls the Ebersols and Leah must again choose between her own happiness and her family. Mary Ruth dreams of becoming a teacher, but it has gotten pushed to the back of her thinking when a nice young Amish boy comes courting. Twin Hannah yearns for her sister to attend baptismal classes with her, but Mary Ruth is not ready to take her vows. How will this family in turmoil find peace? I wasn't disappointed. I've enjoyed this series so far. The glimpse it offers into the lives of the Plain people is fascinating. Their way of life is foreign, yet familiar. I loved how the author explored the different religious aspects of the Amish vs. the Mennonite faiths, and that Mary Ruth and others weren't afraid to question their upbringing and the strictness of their lives. I found myself hurting for Leah and how she lost her true love through misunderstandings and her father's selfishness. And yet, I wished I could have the complete and utter faith and ability to ultimately forgive as she did. At times, she was too good to be true: willingly giving up her wants and desires and fiance to raise her younger siblings after her mother's death. I admire strength in women, both fictional and real. I'm looking forward to reading the remainder of the series. Readers captivated by Twilight and New Moon will eagerly devour Eclipse, the much anticipated third book in Stephenie Meyer's riveting vampire love saga. As Seattle is ravaged by a string of mysterious killings and a malicious vampire continues her quest for revenge, Bella once again finds herself surrounded by danger. In the midst of it all, she is forced to choose between her love for Edward and her friendship with Jacob---knowing that her decision has the potential to ignite the ageless struggle between vampire and werewolf. With her graduation quickly approaching, Bella has one more decision to make: life or death. But which is which? It's finished. At least until the next, highly anticipated book. That book that is the beacon of hope to every disillusioned, silly, teenage girl who believes Edward really exists. Here's a bit of education for you: he doesn't. And even if he did, he wouldn't be interested in a selfish, self-absorbed, teenage girl. My reviews of Twilight and New Moon still stand. Neither one was stellar, let alone worth the hype. I also think it's as if she wasted two books to get to this one. Eclipse was enjoyable to read. Twilight and New Moon failed to fulfil their potential. Eclipse wasn't stellar either, but I was pleasantly surprised by it. I could actually see myself re-reading this one. The writing improved dramatically. I think Stephenie Meyer suddenly remembered some of her college-learned writing techniques and realized what was missing in her previous work. I'd like to say she found a better editor, but I don't think so. Although, while the editing is still lacking, it is leaps and bounds above Twilight, which didn't seem to be edited at all. I appreciated the detail she finally provided. It was nice to see real conversations of substance. I appreciated the discussions and explanations. It was nice to see some back history provided for several of the characters. Although, the Cullen family is so involved with each other that it's still frustrating to see that even with the stories of Rosalie and Jasper explained, they remain one-dimensional characters. And any detail or substance to Esme is practically non-existent. I still think Bella is a selfish, self-absorbed teenager and it's still hard for me to see why Edward loves her. Lusts after her, sure. And, I find the whole "I can't live without you" scenario annoying. I firmly believe that personal happiness is dependent on one person: yourself. Your life is enriched and blessed when you have the love and devotion of another, but they are not responsible for your happiness. I liked the interaction between Jacob and Bella when he tells her that he was right for her and the natural path her life would have taken. Jacob let Bella be Bella, he didn't try and control her. And had Edward not come back in New Moon, Bella would have been happy with Jacob. And just for the record, I'm not pro-Jacob anymore than I'm pro-Edward. They're just characters in a book. I also find Edward's ultimate control over Bella disturbing. He orders and forbids. He acts like he owns her. And she lets him. This is not healthy. Nor is her ultimate submission to his family and what they want. She isn't her own person, but one who tries to be the girl she thinks each man wants. Is this typical of an 18-year old girl? Possibly. She's probably most like her true self when she's with Jacob. Also, in her relationship with Edward, she is prepared to give up everything: friends, family and children. And for what? An eternity as a vampire with a man whose most compelling attraction is his beauty, dangerous potential and the forbidden. I do like Edward. I think that Meyer finally fleshed out his character quite a bit in this novel and I just wish she had done so earlier. I find it interesting though that even though he's 100 (give or take a few) years old, she has him act more like he's a teenager. He may look like one, but theoretically he wouldn't act like one after all the life experiences he's had, even with the high school student charade they play. Meyer has crafted a compelling story and characters with great potential. I have to give her that credit. Even though I was harsh in my criticism of the first two books, I continued reading them. I hope that the next book improves the series as this one did and not the reverse. I hope that we find more realistic substance to Edward and Bella's relationship as well. Book 2 of Abram's Daughters. Spanning three generations, the Abram's Daughters series paints a powerful family portrait of four Amish sisters growing up in Gobbler's Knob, Lancaster County. In Book One, The Covenant, when oldest sister Sadie is beguiled by a handsome, dark-haired ''Englischer,'' it is younger sister Leah who suffers from her sister's shameful behavior. In Book Two, The Betrayal, Leah and her beloved Jonas are separated for half the year when he accepts a long-desired carpenter's apprenticeship in Ohio. They are confident that by letter and heart-felt promises, their love is strong enough to survive the temporary separation. But never could they have foreseen the bitter test facing them and their families. The second in the Abram's Daughters series. I really liked it. Easy to read, but not simple. It keeps your interest. The role that the church plays in the lives of the Plain people is fascinating. It makes me think about our own lives and our own involvement in our individual faiths. Do we see our religious leaders as controlling, the way outsiders might? Or is it all natural and normal? Definitely interesting. I don't understand the concept of shunning because of unrepentant sin or perceived disloyalty. I think it's a sad way of life and I can't see it serving a good purpose, but it their way. I felt so sorry for Leah and how her happiness was destroyed by her family's manipulation and betrayal. Her faith is so strong and should be rewarded. I'm looking forward to the next book in the series. Elm Creek Quilts, the thriving artists' retreat at Elm Creek Manor, is a place that stakes its sterling reputation on the palpable creative energy and collective goodwill of its teachers and students. But when two of its founding members decide to leave the fold, the Elm Creek Quilters face untold changes not only in their personal lives but also in their business. As the news spreads, a single question emerges: Who can possibly take their place? An Elm Creek Quilter must not only possess mastery of quilting technique but teaching experience, a sense of humor, and that intangible quality that allows an individual to blend harmoniously into a group. With high hopes, Elm Creek Quilts posts an open call for applicants. Suddenly, quilters everywhere are vying to land the prestigious post. Among the candidates are Maggie, whose love of history shines through in all her projects; Anna, a quilter and a chef whose food-themed quilts are wonderfully innovative; Russ, the male quilter whose pathbreaking style could lend Elm Creek Quilts an intriguing aesthetic departure; Karen, a novice teacher whose preternatural gifts for language complement her deep understanding of the quilters' mission; and Gretchen, the soulful veteran with a legacy steeped in quilting tradition. "We must evaluate all of the applicants' qualities," advises Master Quilter Sylvia Compson. "Our choice will say as much about us and what we want for Elm Creek Quilts as it says about those we decide to hire." In the course of the members' careful deliberations, cherished memories resurface and inspiring visions for the future take shape. Only by understanding the meaning of what their own labors have wrought canthey select the ones who have earned a place among the circle of quilters. This was my least favorite novel of the Elm Creek series. Two of the original quilters are leaving and the others interview people to take their places. Each chapter is about one of the interviewees. I found it difficult to get through. The only person I enjoyed reading about was Russ, the lone, male quilter. The others, especially Anna and her boyfriend and Karen and her husband, were more extreme caricatures, and annoying. And main character Diane, who is annoying and rude on a good day, is vicious here. She has her "reason" but her actions just serve to make the reader angry. I've enjoyed these novels, so this one disappointed me. I'd suggest reading it for the sake of the series, but not because it's a great book. Sixteen-year-old Giovanna Petrizzo finds it hard enough to fit in. Three years since her family moved to Texas, she's still the newcomer compared to everyone around her. It doesn't help matters when her twin brother, Dante, takes on the mayor's son by running for class president. The least she could expect, though, would be for her boyfriend, Jesse, to support their cause. But Jesse's apparent defection triggers Giovanna's rash emotional side, and before she knows it, she's turned Jesse from the boy of her dreams to the exboyfriend she dreams of winning back. In her trademark style, Janette Rallison delivers a laugh-out-loud romantic comedy that only leaves readers wanting more. A light, fun read. Giovanna is someone you can like and even relate to in many ways. I can see the appeal for teenagers/YA. Those high school years can be awkward, with lots of embarrassing moments. Giovanna certainly has her share of embarrassing moments and misunderstandings in this book, but her voice is believable. Entertaining. Legions of readers entranced by Twilight are hungry for more and they won't be disappointed. In New Moon, Stephenie Meyer delivers another irresistible combination of romance and suspense with a supernatural twist. The "star-crossed" lovers theme continues as Bella and Edward find themselves facing new obstacles, including a devastating separation, the mysterious appearance of dangerous wolves roaming the forest in Forks, a terrifying threat of revenge from a female vampire and a deliciously sinister encounter with Italy's reigning royal family of vampires, the Volturi. Passionate, riveting, and full of surprising twists and turns, this vampire love saga is well on its way to literary immortality. I liked it, sort of. But, like Twilight, it was a slow starter for me. The dialogue was still clunky and sappy and often felt like Meyer was, again, trying too hard. She still needs a good editor. Bella's narration is awkward throughout the book. All the way through this book I wanted to throttle her. She's still weak and whiny. She used Jacob something fierce. Her melodrama over losing Edward was enough to make me vomit. There's a point during grief where you need to leave the valley of despair. To camp out there is unhealthy. Teenagers tend to think the world revolves around them, and Bella is typical in this. I think one of my main complaints is that she has not grown or evolved as a person. Meyer has failed miserably in developing a strong character. I still don't see any reason for Edward to like her. She has no depth, she has no interests other than Edward and herself. Her vision is typically teenager in that her life will begin and be one great romance once Edward has turned her. Perhaps my error is in wanting her to be so much more than she is: a teenage girl. And Edward. Hello? What happened? Edward's age and life experience should make him a man of depth. In this book, he was as bad as Bella. The "I can't have her, I think she's dead, so I'm going to end my life too" scenario is so unlike how the character of Edward should be. Book 3 is next. Hopefully, somewhere along the way the series will be redeemed. I'm not holding out much hope. I still don’t get the hype. Especially from grown women. Silly, idealistic, teenage girls going nuts over it, I can see. Grown women? I don’t get it. But, then again, I don’t get the hype over High School Musical either. And grown women go nuts over it too. Melkorka is a princess, the first daughter of a magnificent kingdom in medieval Ireland -- but all of this is lost the day she is kidnapped and taken aboard a marauding slave ship. Thrown into a world that she has never known, alongside people that her former country's laws regarded as less than human, Melkorka is forced to learn quickly how to survive. Taking a vow of silence, however, she finds herself an object of fascination to her captors and masters, and soon realizes that any power, no matter how little, can make a difference. It's a compelling novel, but certainly not a happy one. Around the year 900, a young Irish princess is kidnapped by Vikings and ends up in Iceland as a slave. She's strong-willed and refuses to speak. Historically, it's a fascinating description of the time and people and the conflict between the Vikings and everyone else. The idea that this people just came in and took whomever they wanted--men, women, and especially children--and sold them as slaves is barbaric. Not a happy, nor even pleasant novel to read, it is fascinating. While I didn't love it, I can't not recommend it either. Have you ever just...had a feeling...like a spiritual impression, but...subtle? Subtle, maybe, but...still undeniable? And it's like...you're being prepared for something? As trials come thick and fast, Wade Morrison finds himself facing devastating loss and a desperate loneliness greater than he ever could have imagined. Thankfully he has a large and loving family, without whose support he could not survive. Ultimately, however, Wade's greatest source of strength comes through his faith and reliance on the Savior's unconditional and atoning love. Just when it seems that the bottom has fallen out of his world, Wade finds love in the face of loss, trust in a time of personal betrayal-and happiness greater than he had ever hoped to experience again. 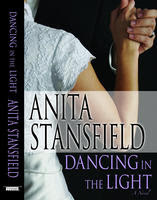 In this romantic and tender page-turner, author Anita Stansfield creates another LDS classic in her inimitable storytelling style. Powerful and insightful with sensitive and compelling characters, Dancing in the Light, the sequel to Timeless Waltz and A Time to Dance, is a tribute to the resilience of the human spirit-and the joyous, healing power of love. Our teenage babysitter saw that I was reading this book. She asked how it was and my response was much like my review of A Time to Dance,"there is always a perfect person of perfect faith who is allied with a person whose faith wavers because of trauma or drama. The faithful person (whose faith is perfect because they've overcome their own issues) counsels the wavering person about faith and God and Jesus Christ and the Atonement, and always sticks by them. Gospel discussions and counseling always reassure the reader that the necessary epiphany will come to the person of wavering faith and all will be well in the end." This book is no different. It follows the same predictable pattern. A man loses his wife and when he meets the woman who will obviously be his next wife, she is married. After some trials, she is no longer married and they are free to get together with the normal amount of wavering faith and trials. Those trials will then be continued in the next book. I liked this one much better than A Time to Dance, the immediate prequel. I will also, most likely, read the next one. They're easy to read, and make a nice detour after reading more serious books that require a lot of concentration. A good man takes a potion that turns him into a freak of pure evil. A reasonable scientist is transformed - through the agency of science itself - into the living embodiment of unreason. Like the vampire and the werewolf, the sundered personae of Dr. Jekyll and Mr. Hyde have worked their way into our collective unconscious, expressing both our ambivalence with science and our deepest questions about what is knowable in human nature. I was surprised at how short this book is. I was picturing some long-winded gothic-type novel, but this was almost a short story. I was also surprised at how the bulk of the story is told from the point-of-view of outsiders: those who know Dr. Henry Jekyll and observe his actions, and those who come to know Edward Hyde and learn the doctor's desperate secret. I found Stevenson's psychology fascinating: his idea that one could separate the two sides of a person. Dr. Jekyll's downfall is that he thought he could control those two sides, and his conflict comes when he realizes he can't. Those who come to read this novel because of the Broadway play, "Jekyll and Hyde", should realize that this novel isn't romantic. There is no love story, and the romanticized notion of the dual sides of man doesn't exist. Definitely recommended. Check out She Reads Books for another review. For the members of a stay-at-home-moms' e-mail loop, lunch with friends is a sandwich in front of the computer. But where else could they discuss things like . . . Success: Her workaholic husband is driving Dulcie Huckleberry around the bend. It's hard to love someone in sickness and in health when he's never home! Art: Let the children express themselves, opines artistic Zelia Muzuwa, and then her son's head gets stuck inside a kitty scratching post . . .
Health: Surely aches and pains are normal in an active little boy, yet those of soccer-mom Jocelyn Millard's son don't seem to be going away. Motherhood: Teen-mom-turned-farmer's-wife Brenna Lindberg can deal with the mud and the chickens, but what about her husband's desire for a child of his own? Indiscretions: However youthful, they can come back to haunt you, learns pastor's wife Phyllis Lorimer. Amends: These could stand to be made between officious list moderator Rosalyn Ebberly and her pampered sister, Veronica. Perhaps the other SAHM I AMers can teach these two something about sisterhood. Chick-lit. No wait, I like some chick-lit. This was more chick-light. Anyone who has ever been on an email/yahoo-type group will understand the book. You'll even identify with some of the characters, and the misunderstandings that come about because so much is lost with email communication. I did find a couple of the characters simply too extreme and unrealistic. There were none I neither identified with nor cared about. It was laugh out loud funny in places, but for the most part, I found it annoying. It is written in email format and is a very quick, very light read. I couldn't get it finished fast enough. Although it was quite popular on Goodreads, this one won't be going on my bookshelf.